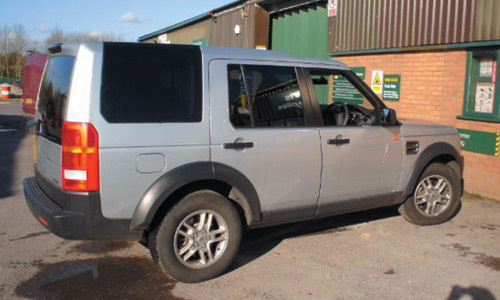 AMJ Auto Services in Thatcham offer a professional commercial vehicle and car window tinting service in accordance with UK law. 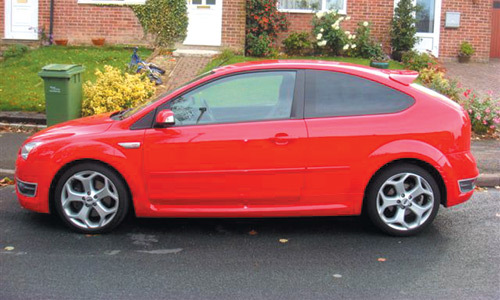 To produce perfect results, a great deal of care and workmanship is needed when having your car window tinted. 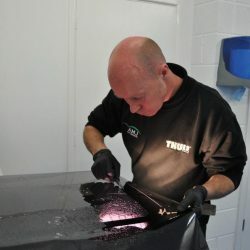 Our legal tints are produced in a spotlessly clean and dust-free environment to ensure the highest possible standards are achieved, time after time… We freely admit that we are perfectionists – zero blemishes – 100% satisfaction. Located in Thatcham, Berkshire, we’re convenient for Thatcham and Newbury, being a short drive away from Swindon, North Hampshire and Wiltshire. 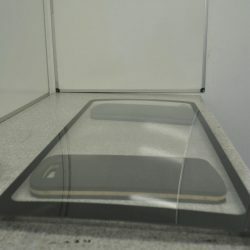 SAFETY – Window tint films help prevent the glass from shattering into a million pieces, reducing the risk of injury, whilst also deterring an opportunist theft. COMFORT – car window tinting reduces the heat (and UV rays) coming into your vehicle. Best of all, it’s totally AFFORDABLE! 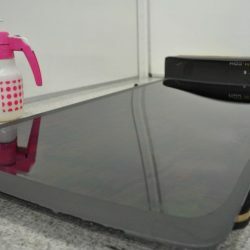 Prices detailed above are a general guide, including VAT. 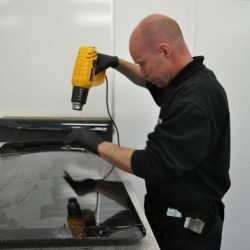 For bespoke quotations, feel free to call Gavin on 01635 868670 or use our contact form. 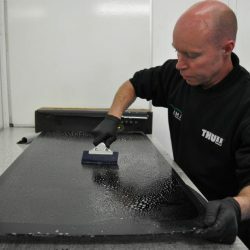 Our SUNTEK tints comes with a 10 year guarantee against flaking, bubbling, and peeling. If your current window tint is too dark, you will be subject to on-the-spot fines.